I didn't do much with decoration. I made it simple. I was running late and I was still needed at the dessert room. 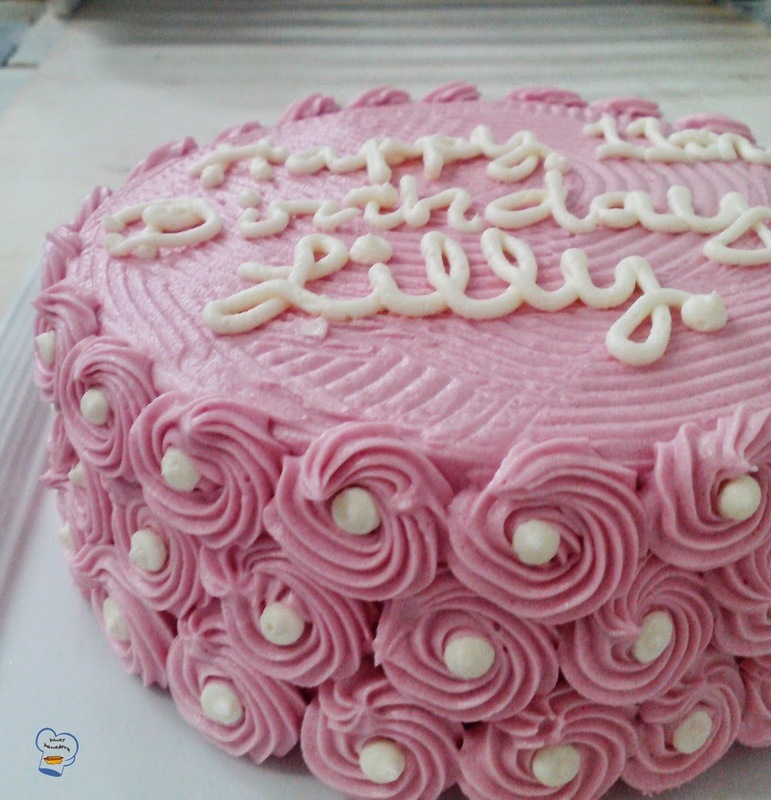 I scrambled through my bag for the star piping tip and hurriedly piped the roses around the cake. It took me three attempts before I got it right. I hurriedly wrote the inscription and got it ready for serving. 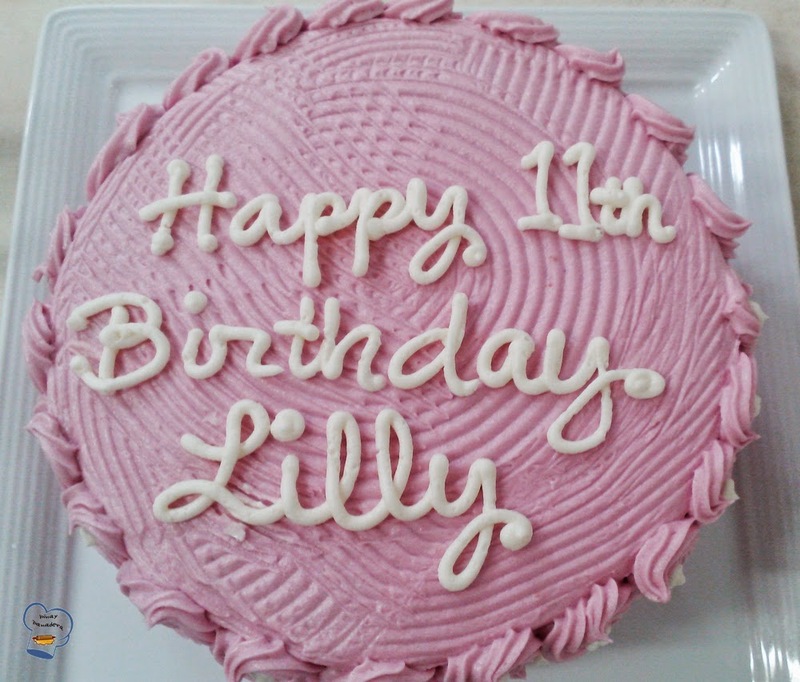 I sure had hoped Lilly and her girlfriends liked it. Judging by the commotion when a colleague brought it to their table, I bet they did.